I am currently re-reading J.D. 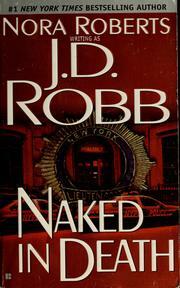 Robb's Naked in Death for what is probably the fourth or fifth time and I am noticing things in this re-read that I haven't before--things like Roark's net worth and his relationship with Summerset, but also things like Eve's POV--things that aren't quite the same in this first book as they are in latter books. 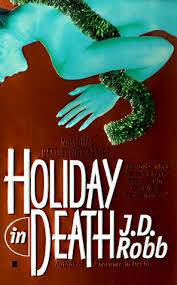 Now, I understand that people and characters change over time (3 years have passed in the book's universe, but nearly 20 have passed since Naked in Death was published in 1995), but people's personal histories do not change--and that seems to be the case here. For instance, in this book, Summerset seems like your standard butler without any indication that he is more of a father to Roarke than his servant. Maybe the character wasn't fleshed out in the author's mind when she wrote this book, which is definitely possible, but it is rather jarring when you notice the change. 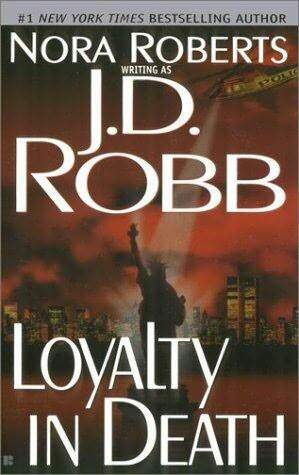 One of the things that I find funny about this book is that Roarke's net worth is listed as being roughly $3 billion, which in 1995 would have been considered a lot of money and probably would have put him at the top of the World's Richest List, but today he would still have a lot of money just not on that scale. What I have noticed in more recent books is that his net worth isn't really mentioned. We just know that he has enough money to buy a country or a planet if he wants to, and this is a much smarter way to go about things because it doesn't make it feel at all dated. Of course there are some changes that cannot be avoided because this series has developed over nearly 2 decades. One such change is the fact that in Loyalty in Death the World Trade Center is still around. That is because when the book was written in 1999 it did still exist. If you notice, the Twin Towers have not been mentioned since that book came out. Obviously, things are going to change in a series as long as this one is--if there wasn't change after the 40 book mark (I think that's how many books there are now) there wouldn't be much of a series because people do grow and change in real life. I just think that certain things should remain consistent.